You’ll feel like grandma’s back in the kitchen, cooking it up! To go orders available until 1/2 hour before closing. There is a service charge for to go orders. Automatic 18% gratuity added to parties of 6 or more. 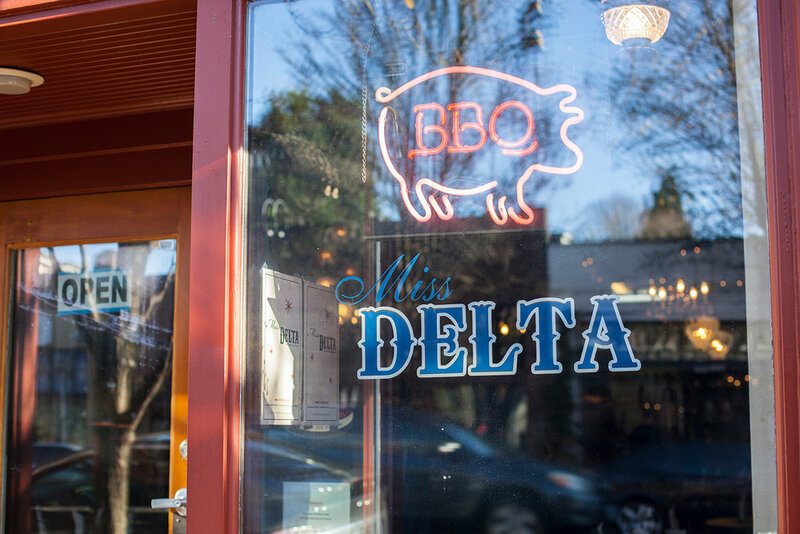 Open for brunch, lunch and dinner, 7 days a week, Miss Delta specializes in down-home southern food. Using all-natural meats, local produce and quality sourced seafood, we take pride in preparing them in an authentic way, inspired by my grandma’s southern cooking. From our smoked meats, to our Jambalaya and Po boys, we have something for everyone, including a happy hour Monday-Friday 3pm-6pm! Hot Sauces Now Available Online! Ol' Recipe Hot Sauces add amazing Southern flavor to your favorite foods! They’re not like other sauces that use dried peppers and spices that hide the real pepper flavor. Our blend of fresh peppers and chilies has a uniquely fresh flavor without being overbearing. All natural with nothing artificial added and has the perfect amount of heat. Check out our other location, Miss Delta on 2226 NE Broadway! Open from 4pm-9pm Monday-Thursday, 12pm-close Fridays and 11am-close Saturday and Sunday. Happy hour from 4pm-6pm Monday-Friday!! $1 off Hot sauce bottles during happy hour! Have a question? Fill out the form below and we will get back to you as soon as possible. Thank you! Your submission has been completed! Thank you for your interest in Miss Delta.